But last weekend’s New York Comic Con had its own distinct flavor that transcended polyester and plastic. The cosplaying population may not match that of its competing cousin in southern California, but for those who do indulge, the innovation and ornamentation go above and beyond. 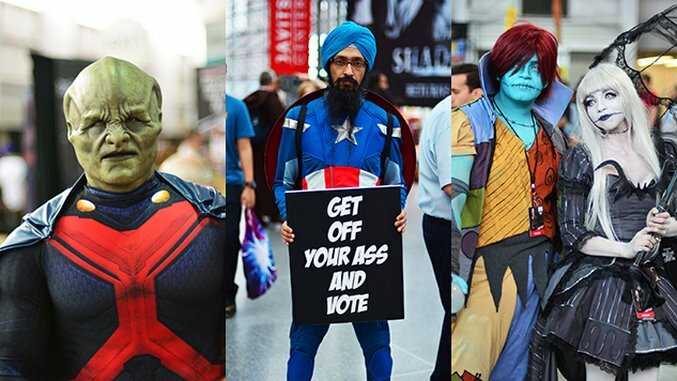 A thousand of these words won’t match one of these pictures, so enjoy the gallery above, and check out our favorite NYCC Cosplay Part I.